This has turned into a double blog post day. 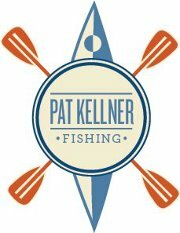 Last week after I got back from Texas, Pat Kellner contacted me about doing an interview for his blog, Fish Tattoo. Fish Tattoo is a blog similar to my own and I regularly tune in to see what Pat is writing about. He is a great guy, talented fisherman, custom rodsmith, lure maker and is on a number of different pro-staffs. We knocked out the interview this week and I saw Part #1 hit his site today. Check it out here: http://www.fishtattoo.net/2012/10/interview-with-drew-haerer.html. Keep an eye out for Part #2 in the next day or two! Thanks again Pat. I hope to reverse roles in the near future and get your input on a number of topics. Coincidentally, I was also contacted by Jeffrey Weeks last week. He is an award winning writer who just published a book titled Surf and Saltwater Fishing in the Carolinas. He also asked if I would do an interview for his blog - A Dash of Salty and the kayak fishing portion of his Surf & Salt site. He wanted to focus on the rapidly growing trend of kayak fishing in North Carolina. The article was posted today on a number of sites, including the Examiner website. 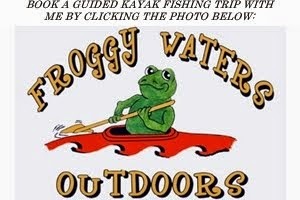 Check it out here: http://www.examiner.com/article/carolina-anglers-enthusiastic-about-kayak-fishing. The interview process was really fun and it was great to share some info and tell some stories. Until tomorrow, tight lines! One Last TKAA Post - What it's all About!